There’s a reason Realtors like to bake these cookies when showing a house to potential buyers. Few among us can resist the mouthwatering aroma of butter, brown sugar, and chocolate that reminds us of all things warm and wonderful. There are many versions of this American classic—this is a favorite, bursting with chunks of both semisweet and milk chocolate, with an extra splash of vanilla added for a deep, round flavor. 1 Preheat the oven to 350°F and position an oven rack in the center. Line the baking sheets with parchment paper. 2 Place the butter, granulated sugar, and brown sugar in the bowl of the stand mixer and beat on medium-low speed until smooth and blended, about 2 minutes. You can also use a hand mixer and a medium bowl, although you may need to beat the mixture a little longer to achieve the same results. Scrape down the bowl with a spatula. Add the eggs one at a time and beat just until blended after each addition. Add the vanilla and blend well. Scrape down the bowl. 3 In a medium bowl, whisk together the flour, baking soda, and salt. Turn the mixer to the lowest speed and add the flour mixture all at once. Blend just until there are no more patches of flour. Scrape down the bowl. 4 Add the semisweet and milk chocolate chunks and the nuts (if using), and blend on low just until combined. Remove the bowl from the mixer and stir gently a few times with the spatula to make sure there are no more patches of unincorporated flour or butter lurking near the bottom of the bowl. 5 Using the small ice cream scoop or spoon, portion tablespoon-size mounds onto the prepared baking sheets, spacing them about 2 inches apart. Bake the cookies one sheet at a time, rotating the sheet halfway through, for 10 to 14 minutes, until the cookies are golden brown at the edges and still a bit pale in the center. If you want crisp cookies instead of chewy ones, bake for a couple of extra minutes. 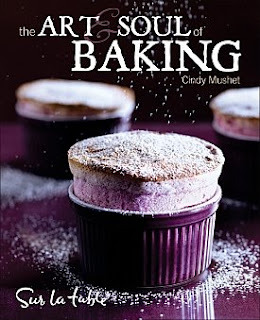 (To bake more than one sheet at a time, see page 271.) Transfer the cookies to a cooling rack and let them cool completely before serving. Keep the cooled cookies in an airtight container at room temperature for 3 to 4 days. You can make the dough up to 3 days ahead and refrigerate it in an airtight container. For nearly spur-of-the-moment cookies, portion the dough onto a baking sheet lined with parchment paper, putting the scoops right next to each other to fit all of them on one sheet. Place the pan in the freezer for 30 to 60 minutes, until the balls of dough are frozen. Transfer the cookie dough balls to a resealable plastic freezer bag and freeze until needed, up to 3 months. To bake, take out as many cookies as you need, space them on a parchment-lined baking sheet, and bake as directed, adding a couple of minutes to the baking time.